A commitment to improve gender balance across the financial services sector. 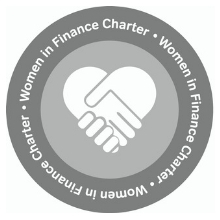 In February 2018 we signed HM Treasury’s Women in Finance Charter, a commitment to improve gender balance across the financial services sector, at every level. Our goal is that 40% of senior managers are women by 2021. When we set this target we had reached 37 per cent so this goal equates to a three per cent increase over three years. By February 2019, a year after setting the target, we expect as a minimum to have maintained the current percentage of women in senior management roles, although as at September 2018 the figure was 36 per cent. To find out more about read our gender pay gap reports.